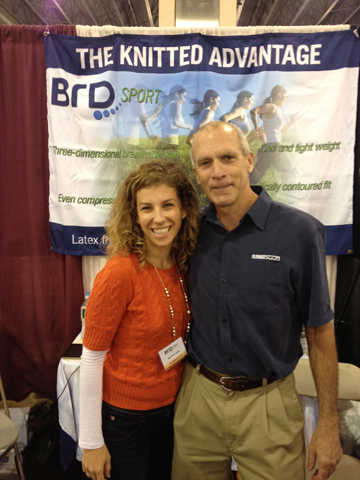 Another exciting and impressive visitor to the BRD Sport booth on Saturday was Caroline White who ran 2:37 Boston Marathon that pre qualified her for The Olympics. She Caroline came to us because her PT said she needed to get a knee brace, and before she left, she told us she wasn't sure if she was even go to race on Sunday! We caught up with her after the race and this is what she said ,"Thank you so much for the brace! I was able to race and finish. My PT said that racing looked doubtful for me going into the weekend given my bruised knee joints, but the brace made everything come together and I was able to have a good effort". Just a note.. 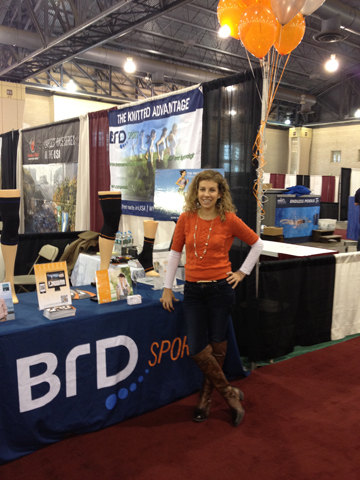 I was the one with the sprained ankle on Friday night at the expo. I did what the PT told me.. iced, elevated and rested. I was able to complete the full marathon with the brace on! Thank you so very much for helping me do that.. I honestly don't believe I would have made it without the brace.